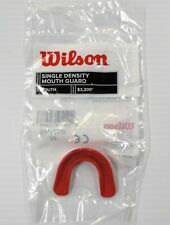 Label: Wilson (WILLSON). Capacity: 125ml. ● Nori is good wax coating agent! It finishes a rough painted surface to smooth. With soft grip that fits in the palm of your hand. Middle East. Your country is very far from Japan and it takes long till the item reaches you. XL FIRM OBEX 1. XL FIRM IBEX 1. 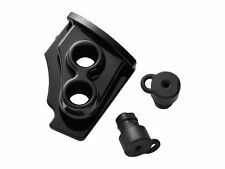 Truglo Fiber Optic Set - Glock Low TruGlo Brite-Site Sight Set Glock 17, 17L, 19, 22, 23, 24, 26, 27, 33, 34, 35, 38, 39 Steel Fiber Optic Red Front, Green Rear. These high contrast fiber optic sights feature a 3 dot pattern with a single front dot and 2 rear dots. Whiting Whispera Rig Fishing Tackle's With Flasher Rigs Size 4 Paternoster Flathead Bream Bait Dropper. We caught Silver Bream, Sand Whiting, Mullet Australian Salmon, Silver Trevally& Tarwhine And Just on the Whiting Rig. Hand Wraps Ladies womens Boxing Gloves Cotton 30 Pairs Lot Whole Sale Deal 180"
Perfect for your boxing, kickboxing, Muay Thai, boxing aerobic or martial arts needs. 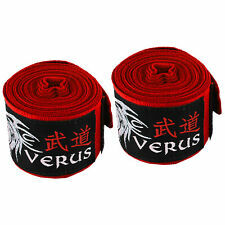 This VERUS adult 180" hand wrap is ideal for MMA, Boxing, Muay Thai and other martial arts sports. 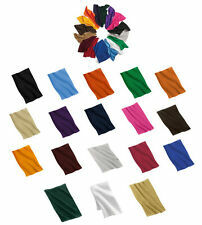 Constructed from a high quality 65% polyester and 35% cotton material. Truglo Rifle Set - Marlin. TruGlo Lever Action Rifle Set. - Not for carbine barrels. - Fits: Marlin 336. - Type: Rifle Sight. Add to favourites. - Color: Green/Rear Red/Front. Although we will make every attempt to honor your request for cancellation, it may not always be possible once the order has been processed by our team. Whiting rig in a Paternoster Format. That feature A Sinker Clip And is Rigged on 20lb Leader. Tied on a Paternoster. Snapper Rigs 5/0 Fishing Rig Bait 60lb Flasher Pater Snapper Rig Pre-Tied Fishing Rigs Sunset Bottom dropper. Truglo Novak LoMount. 260 Front/.500 Rear. The low profile sight housings are constructed from CNC-machined steel. The Brite-Site Tritium Only handgun sights fit in standard holsters and are designed to be snag-resistant and dependable. 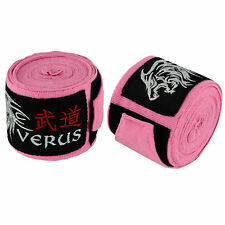 Hand Wraps Elastic Boxing Marital Arts Cotton 30 Pairs Lot Whole Sale Deal 180"
Fits 2-3 lines 20 characters per line. Color is Black. They are the best buy you will find anywhere for carabiners of this high of Breaking Strength. 12 Carabineer Style Key Chains. US funds only. S&H fees are not negotiable. Made of highest quality material Manufacturer: TruGlo TruGlo archers choice range rover Pro green dot black. 1004154 TruGlo Archers Choice Range Rover Pro Green Dot black. Although we will make every attempt to honor your request for cancellation, it may not always be possible once the order has been processed by our team. Campers Lensatic Compass. Wind Chill Chart on Back. Great set for the Hiker, Camper, Boy and Girl Scout, or Outdoorsman. Magnets all have a very cool 3D effect to them, this is done with shading in colors around the edges of the baseball to give it a very real look! These are all TOP QUALITY magnets! Great for party favors, baseball team gifts, etc. , ,(BE ADVISED ! ). I will try my best to be your help. I will send the invoice of EMS. We will try our best to resolve the issue! Standard weight: 155 g.
Carbon content rate: 99%. Total length:3.9-3.6-3.2m. Product weight: 159 g. Weight: 70 g. If you get it as quickly as possible. It is characterized by good usability are sharp and hooking. Farrow Sports 10 Rolls Blue Kinesiology TapeModel No: K255-CTB-BL-2R_5PK. Farrow Sports kinesiology tape is a high quality, stretchy, elastic cotton tape with an acrylic adhesive. It’s available in widths of 25mm or 50mm and in your choice of 3 different colours. Truglo 5 Pack Multi-Color High Quality Replacement Fiber Optic Rods - .078"x5.5"
Available in green, orange, red, ruby red, yellow, blue and dual red & green. Although we will make every attempt to honor your request for cancellation, it may not always be possible once the order has been processed by our team. 5 out of 5 stars - Truglo 5 Pack Multi-Color High Quality Replacement Fiber Optic Rods - .078"x5.5"
2 product ratings2 product ratings - Truglo 5 Pack Multi-Color High Quality Replacement Fiber Optic Rods - .078"x5.5"
Adapter for connecting the PT-058 underwater flash underwater optical fiber cable. All product manuals are in Japanese. Expedited (EMS). 48 Rolls Premium Rigid Sports Strapping Tape 25mmx13.7mModel No: R25137-TB-SK-12R-4PK. Strong, rigid construction. 38mm Tape: Ankle, Knee or Foot. 50mm Tape: Shoulder. 25mm Tape: Elbow, Hand or Finger. Entry user is essential item to guard the critical knee firmly. Easily fitted to the inner and outer jeans and leather pants. Lightweight compact kneeguard equipped with plastic pads on your knees. Original Sky Bounce ball. Serving Size. Farrow Sports 10 Rolls Blue Kinesiology TapeModel No: K505-CTB-BL-2R_5PK. Farrow Sports kinesiology tape is a high quality, stretchy, elastic cotton tape with an acrylic adhesive. It’s available in widths of 25mm or 50mm and in your choice of 3 different colours. Farrow Sports 20 Rolls Blue Kinesiology TapeModel No: K505-CTB-BL-2R_10PK. Farrow Sports kinesiology tape is a high quality, stretchy, elastic cotton tape with an acrylic adhesive. It’s available in widths of 25mm or 50mm and in your choice of 3 different colours. 12 Rolls Premium Rigid Sports Strapping Tape 25mmx13.7mModel No: R25137-TB-SK-12R. Strong, rigid construction. 38mm Tape: Ankle, Knee or Foot. 50mm Tape: Shoulder. 25mm Tape: Elbow, Hand or Finger. Two-way easy hand tearing. Now, TruGlo is taking TFX technology to the next level for professionals and shooters who demand maximum performance from their handguns–providing ultimate reliability, accuracy, and brightness no matter how tough things get. Farrow Sports 2 Rolls Blue Kinesiology TapeModel No: K505-CTB-BL-2R. Farrow Sports kinesiology tape is a high quality, stretchy, elastic cotton tape with an acrylic adhesive. It’s available in widths of 25mm or 50mm and in your choice of 3 different colours. (In the case of field scope ED50. Small models excellent portability lightweight . (In the case of field scope ED50) adopt the ED glass to satisfactorily correct the color bleeding of the objective lens. ). Farrow Sports 2 Rolls Pink Kinesiology TapeModel No: K255-CTB-PK-2R. Farrow Sports kinesiology tape is a high quality, stretchy, elastic cotton tape with an acrylic adhesive. It’s available in widths of 25mm or 50mm and in your choice of 3 different colours. 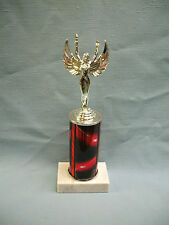 LETTERING FOR TROPHY IS FREE. fits 2-3 lines 20 characters per line. Color: Smoke. Lot of two. Not in the budget?. Works with braces. Farrow Sports 2 Rolls Skin Kinesiology TapeModel No: K255-CTB-SK-2R. Farrow Sports kinesiology tape is a high quality, stretchy, elastic cotton tape with an acrylic adhesive. 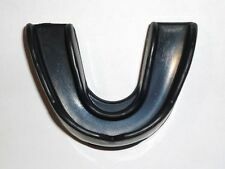 It’s available in widths of 25mm or 50mm and in your choice of 3 different colours. These are all TOP QUALITY. We are silly low with our prices & we make sure of it! Buy 12 orders get 1 order FREE. Buy 24 orders get 2 orders FREE. A GREAT way to lower your cost per unit when you factor in the free goods value. These are new Astrup BSR-1A snap buckles designed for 1" wide webbing strap.